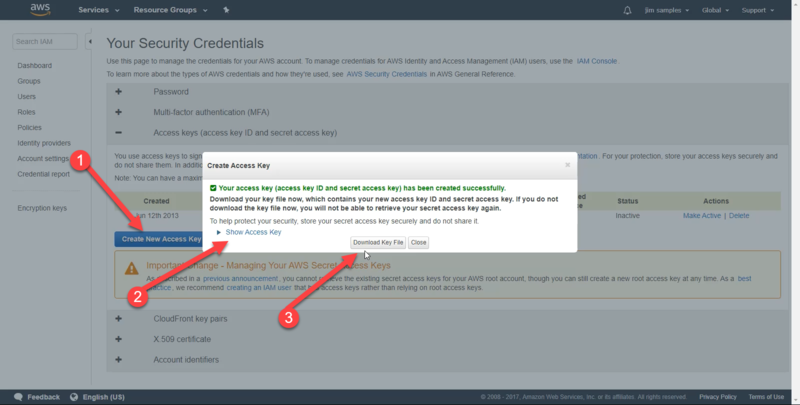 First you are going to log into your amazon console so that we can copy down the keys needed to sync it up with easywebinar. 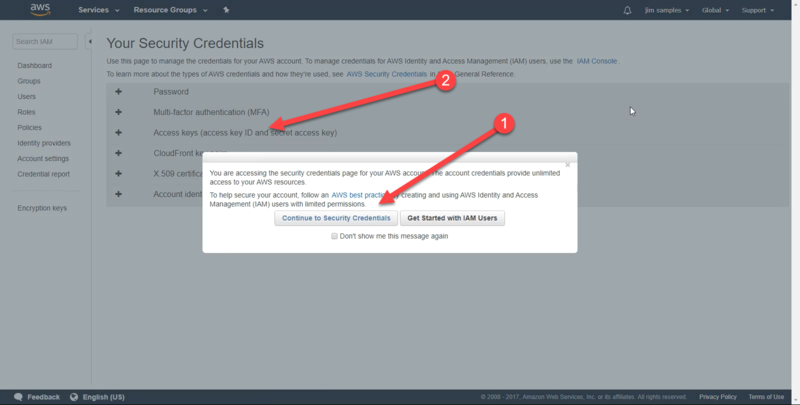 Once logged in you will click on your account name then on my security credentials. 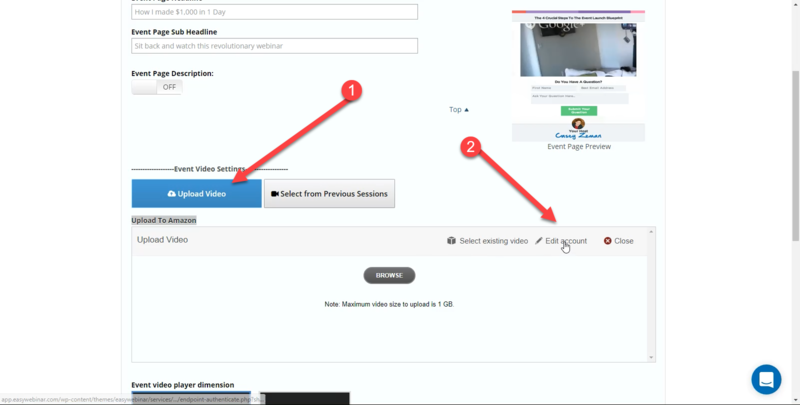 This video will show you everything step by step and discuss in greater detail. 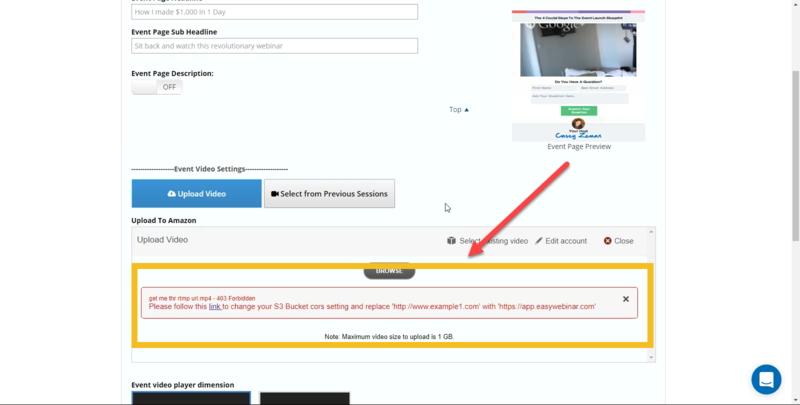 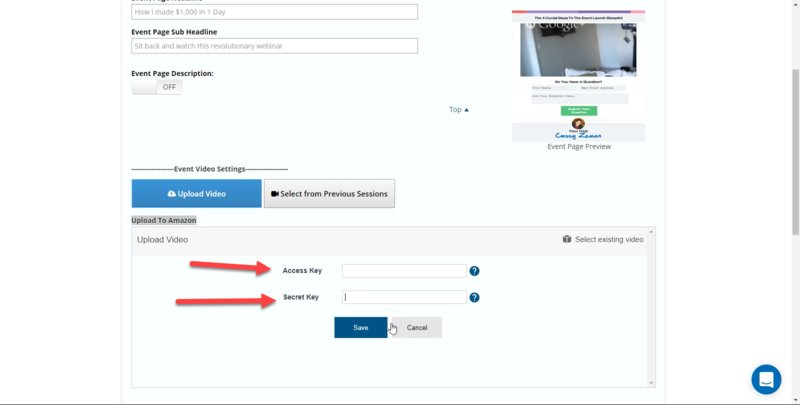 Please see the above video for greater detail on what to do when you get the error for the cors setting..
you can add the code below as shown in the video and the easywebinar url is already in it.. Add it just as shown within the above video. 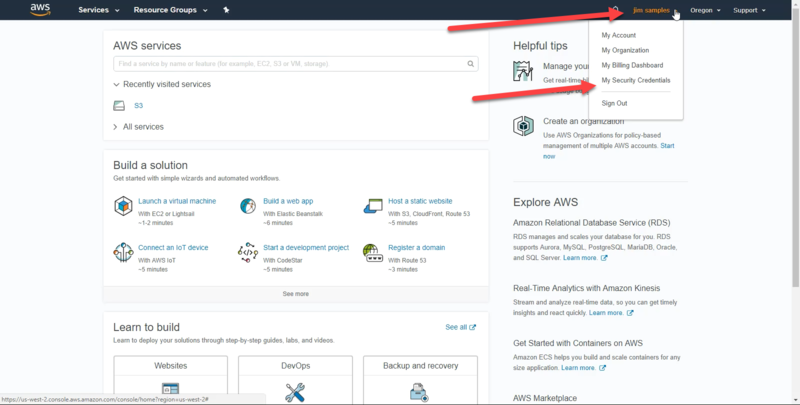 please make sure that there are no spaces in the filename just a dash - if you want to separate the words.. sometimes amazon can add in a plus symbol to the url due to the space and break the url..